Wicked Bee Removal Service | Rescuing and Relocating Honeybees is what we do! You can take piece of mind in knowing our services are fully insured! 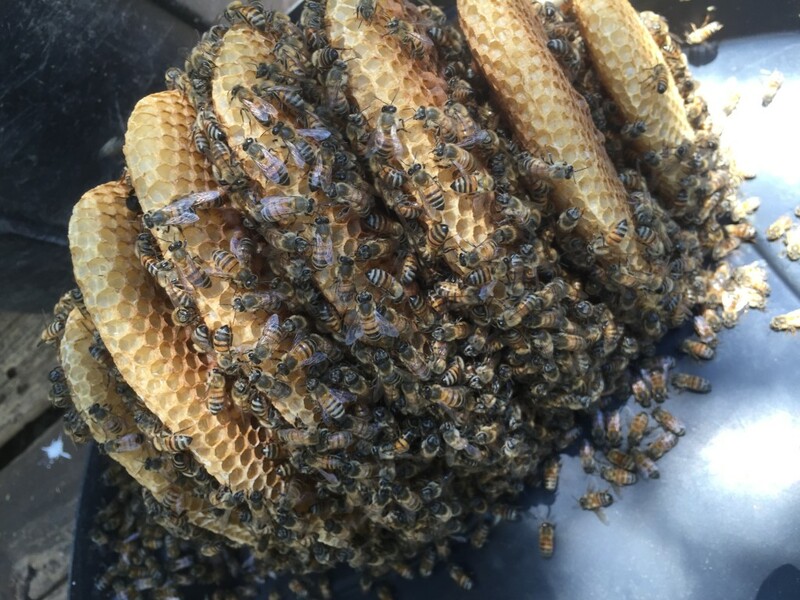 Our Removal Specialist are part of the Texas Master Beekeeper’s program. We are registered with the Texas Apiary Inspection Service and current on all permits. Here at Wicked Bee, we strive to do what is best for both the Honeybees, and our clients. We specialize in rescuing and re-homing Honeybees who might have chosen to establish their new colony in a location that is not so ideal for the property owner. Each job is unique, and pricing varies based on the specific situations and challenges of each job. If we feel that we would not be able to meet your specific needs, we are always happy to provide you with other references. Ultimately, we want our clients to be satisfied, and we want the bees to be allowed to thrive and do what Honeybees do best! 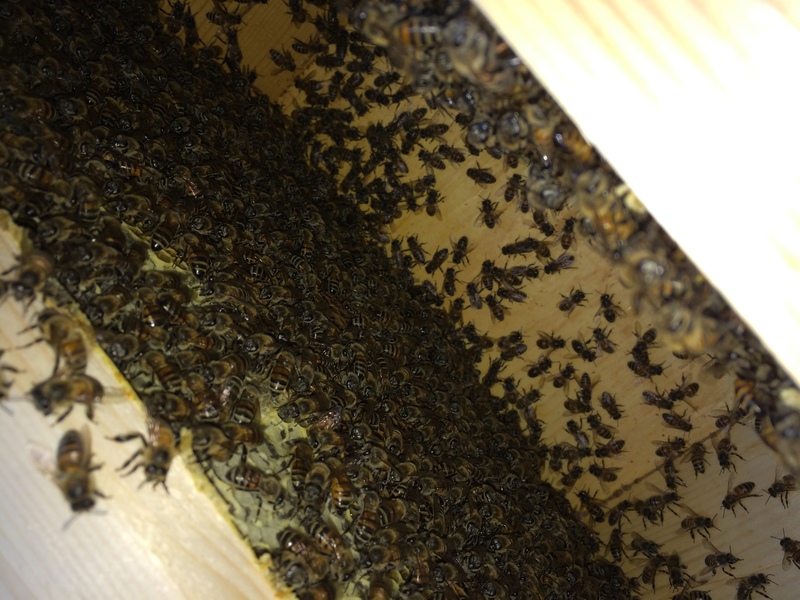 A Small hive will typically have fewer than six (6) drawn wax combs present. The hive might be outside exposed to the elements, or inside some sort of smaller container, such as a birdhouse or water-meter box. A Forced Abscond has to be completed when the bees have setup their colony in a structure that cannot, or should not, be cut open. 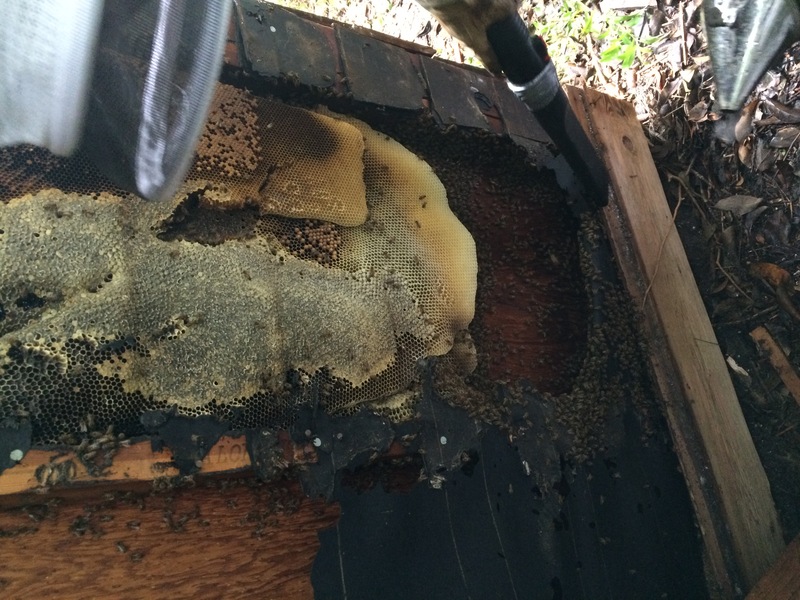 This is typically the case when their hive is located inside a living tree, or a stone wall. The bees are forced out, and the cavity is sealed, but the comb remains inside the cavity. A Structural Removal will need to be done when a colony has established itself inside a fixed structure that cannot be removed from the property, such as inside the wall of a barn, shed, or your house. 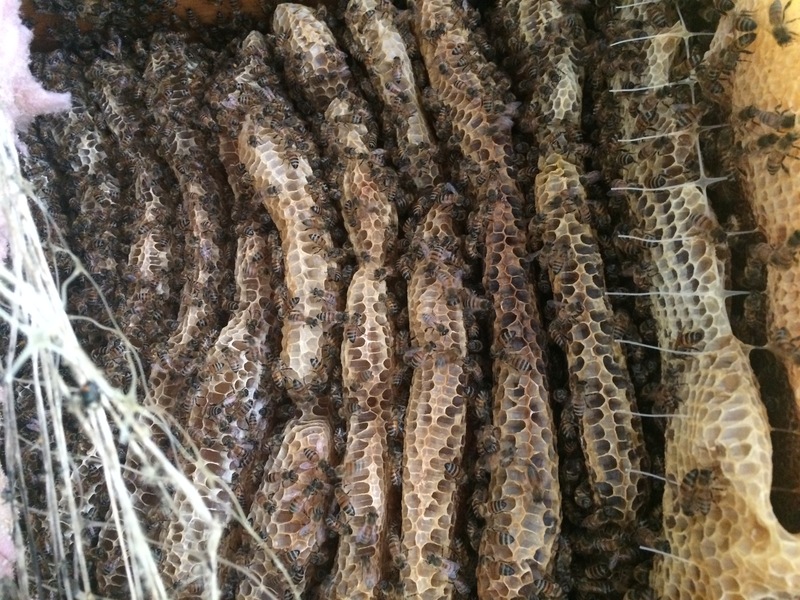 In these cases, sections of the structure will have to be removed in order to remove the Honeybees as well as the comb. Commercial Buildings can be a mixed bag of situations that each come with their own unique challenges and complications. Therefore, we evaluate each job on a case by case basis before giving a final quote. Commercial properties can also be added under our insurance as ‘Additional Insured’ for added coverage if desired. * Indicates a Base Rate. This rate includes prep-time/materials, drive time/mileage, and the first full hour on the property. After this initial hour is up, the hourly rate then applies to each additional hour thereafter for the remainder of the removal process. Give us a call. Send us a Text. Or, click the button to send us an email submission online. Yes, actually. In some cases we can remove active wasp nests. Pricing is based on each specific situation. Please contact us for details. Do you Kill the Bees? Absolutely Not! We specialize in LIVE removals only. Our goal is to help you get rid of the Honeybees while also ensuring that the Honeybee colony survives. Our world is in need of as many pollinators as it can get, and Honeybees are a major part of that system. Please don’t ever let anyone kill Honeybees! Call us instead. Can you give me an Estimate for a Removal? Yes! Feel free to contact us via email, or, you may also call or text us as well. How can I tell if it is a Honeybee? Honeybees are small and compact in size with shorter/thicker legs. Their bodies are covered in a fine hair or fuzz. Up close, they actually look more cute than aggressive. (Though, we aren’t advocating that you try to get up close and personal. On the other hand, if you are looking at something with a longer slender looking body with long legs, which is not covered in fuzz, and it’s colorations make it look like its wearing aggressive war paint… That’s A Wasp! What makes bees so useful? Do you like to eat? Honeybees are one of our largest groups of pollinators and are the only type of pollinator to visit certain plants/crops, such as the Almond Tree. Without Honeybees, our diet would be radically different. Many of the fruits, Veggies, and nuts that we take for granted each day would simply no longer exist. Plus, they produce other products, or byproducts, that we love and use daily, such as Wax and of course… HONEY! Please feel free to contact us with your inquiries. We will do our best to answer your questions and educate you about the wonder that is the Honeybee.